Feel secure and look professional when using GlowHost email services. With GlowHost email services you get email accounts @yourdomain.com. This is the most professional way to use email for your web site because your are replying to your customers in email addresses that originate from your own brand name. This increases customer confidence, and shows your customers that you are a professional organization with a professional web site. All email accounts are compatible with iPhone, Android, and other popular smart phones. GlowHost mail service subscribes to SpamCop and Spamhaus as well as several other reputable web-host friendly spam prevention services known for their reliability and accuracy in the spam identification process. These block lists are updated several times per day and contain lists of “known spammers” and ensures that deliveries from these unwanted senders will never make it into your inbox. This service is free of charge on all GlowHost hosting plans and can be enabled or disabled on cloud servers and dedicated servers. 2. Deliver emails flagged as Spam to a separate spam box for manual filtering. This allows you to go through your spam box, AKA “junk mail folder” from time to time to check for legitimate email that may have been flagged as spam. 3. Auto-delete mail flagged as spam. This is one of the most popular options which allows you to delete spam as it arrives, without ever seeing it, without wasting disk space, by automatically deleting the email as soon as it arrives instead of collecting junk emails in a secondary spam folder. 4. Set the spam threshold. This allows you to set how strict or relaxed the Spam Assassin system proactively filters and processes your email. 5. Whitelist your trusted senders. Add trusted friends and domains to your whitelist to bypass the Spam Assassin filtration system. This eliminates “false-positives” and ensures delivery of email from your trusted senders list. Horde, SquirrelMail and Roundcube are included as part of every account and are perfect options for those on the move. If you are away from your home computer or laptop, and need access to your email outside of your favorite GlowHost compatible email program, like Thunderbird, Outlook, Windows Mail or Mac Mail, or simply prefer to read email in a web based environment similar to Gmail or Yahoo (without the advertisements!) then Webmail is perfect for you. All email coming through a GlowHost server is screened for known malware through our intensive anti-virus technology. We update our virus definitions several times per day, so you can be sure you are protected from the latest known threats at all times using the latest virus definitions provided by Clam AntiVirus as well as other proprietary methods used by no one else in the industry. GlowHost’s AV solution ensures over 99.9% success in protecting your email inbox from virus delivery. It easily and automatically keeps your home and office network safe from all known virus threats. Protect your valuable home and office computers from mistakes made by guests, family members, or other people by accidentally opening an unwanted virus on your work stations. There is nothing to install on your computer as it is completely handled by the email server. There is nothing to configure or any complicated interaction required by you. We handle the entire process in the background for you and you will never notice a thing with the exception of an inbox that contains up to 100% less viruses than without our state of the art AV protection system. 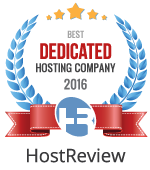 This service is free of charge on all GlowHost hosting plans. Ensure you get those important emails sent to whatever email address you choose. If you have a web site on a GlowHost server with the email address “myname@mydomain.com” you can forward that email to whatever address you check most often. You can forward it to “youremail@yourISP.com”, “yourname@youroffice.com” or whatever works best for you. Best of all there is no limit to how many forwards you create and no “per forwarder” fee. There is also no need to contact a server administrator to set them up. It is at your fingertips from your feature packed control panel. Auto-responders, email address change, and vacation messages are free for the taking with your new GlowHost hosted web site. Auto responders make follow-up with your site users completely automated by reducing redundant email tasks such as letting your clients know that someone is available and you will be in contact with them very shortly. You can even configure automatic start and stop dates for your vacation messages. Try one out for size by sending a blank email to thanks@glowhost.com. After you have sent it, check your email box, and see the power and automation that a custom auto-responder can offer. Your email address is not stored as this is a one-time email for demonstration purposes only. Great for beginners and experts. Filters on the beginner level can be used to simply discard emails that meet certain criteria like a subject line that you do not want to see anymore or someone’s email address you do not want to receive email from ever again. For advanced users, filters can be setup to “pipe” inbound email to specialized scripts like helpdesks and ticketing systems. Manage and maintain opt-in and opt-out mailing lists and newsletters with your Mailman List server. Mailman supports “announce only” and collaborative user groups modes. Announce only is just that, you post to the list server and all your list members get your message. User groups mode allows list members to reply to the list, and all users on the list will get their reply. Great for keeping in contact with your buddies or project collaboration. Mailman is great for community sites, bug trackers, software development, and other groups who prefer to keep in contact with each other. Attachments are fully supported, and online archives can be created for later viewing of your historical message data. The Mailman list server is included free of charge on every account hosted by GlowHost. Technical Specifications for Developers and Site Administrators. Email, by default, is relayed (going from point A to point B) across the Internet almost always in an unencrypted format; it is also stored in “plain text” on mail servers. GlowHost fully supports End to End email encryption so you can protect your email from prying eyes. Want to learn how? Post Office Protocol is responsible for retrieving your email from the inbox on a mail server. Virtually every mail program available supports the POP3 delivery method. POP3 downloads all mail from the server’s inbox when your mail program connects to it, then purges it from the server to free up disk space. SSL encryption is available for POP3S connections. Your control panel will give you the connection settings to use in your favorite email program after you create the email address. IMAP is a mail standard that is excellent for those who have multiple computers and wish to keep their inboxes synchronized across all computers. IMAP will store all mail on the server so that your mail programs are constantly in unison with each other. You can then delete email on demand to free up disk space or configure your email program with special rules for how long to retain email on the server in the folders that you select such as inbox, trash, etc. No more misplaced emails! IMAP can be run under SSL and connection settings will be provided to you after you create your email account in your control panel. Simple Mail Transfer Protocol is used for sending e-mail messages between mail servers. Once the email has been delivered via SMTP from a remote server, then your mail client will use either POP3 or IMAP to retrieve those messages. You also have access to outbound SMTP from your hosting account. This allows your email program like Thunderbird or Outlook to send email over the Internet from your local PC or smart phone. If you are an application developer, your scripts and apps can also login to your SMTP account to send email. Security minded site operators should use the SSL encrypted SMTP ports which become available to you on-screen after you create your email account in your web site control panel. You have full control over your MX records from your control panel so you can do things like set up secondary MX, set MX priority, and even direct your email hosting to a 3rd party service like Gmail or use Microsoft Exchange Server to manage your email services.